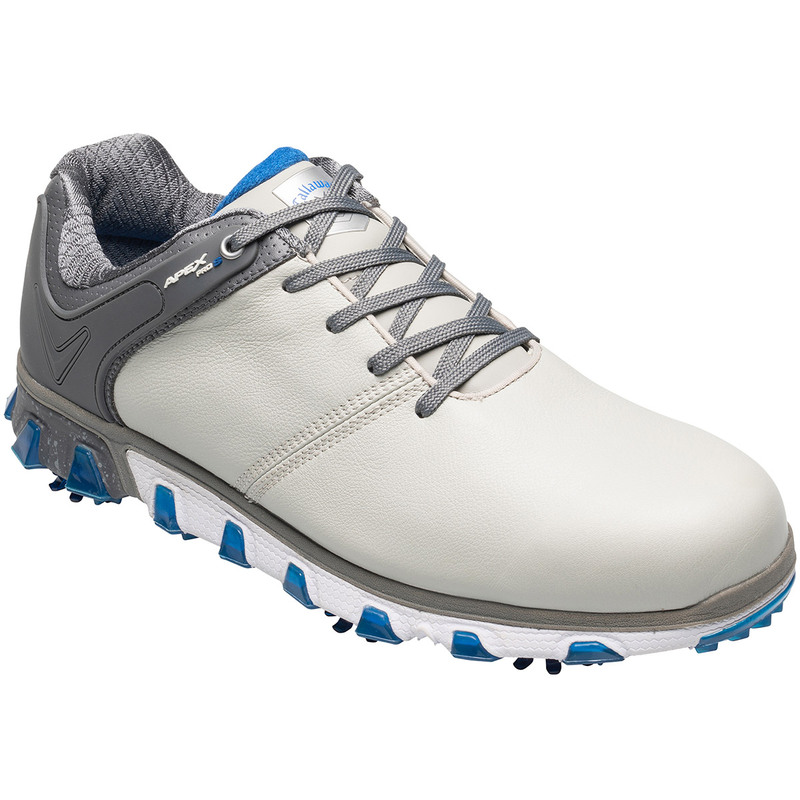 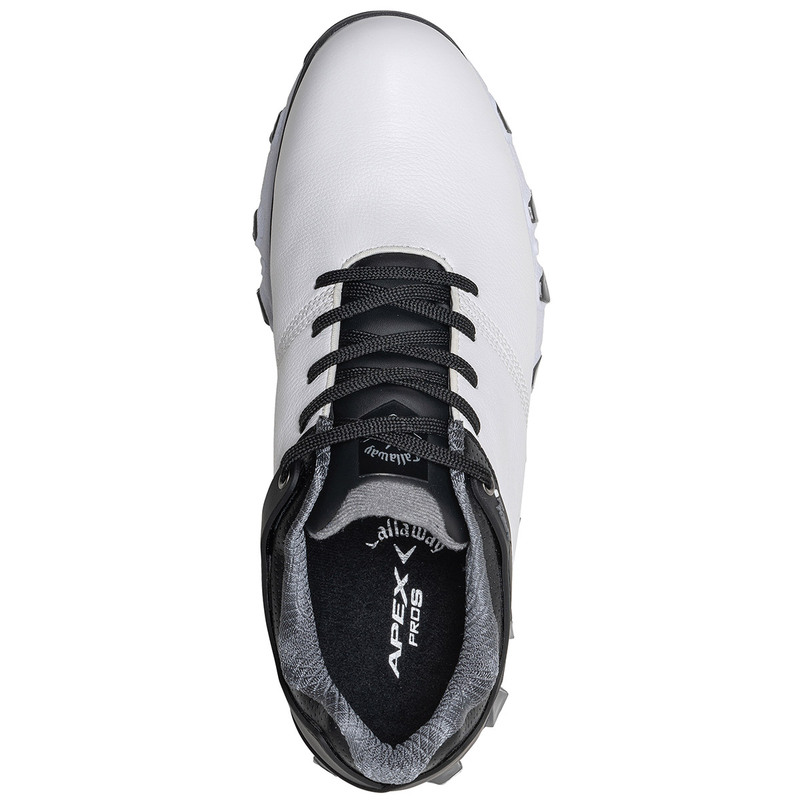 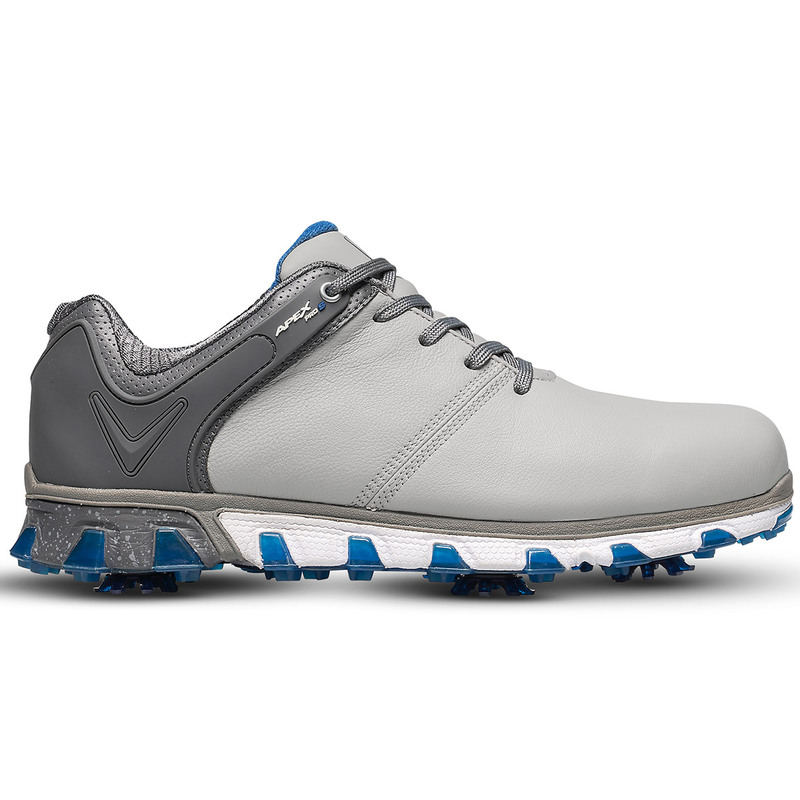 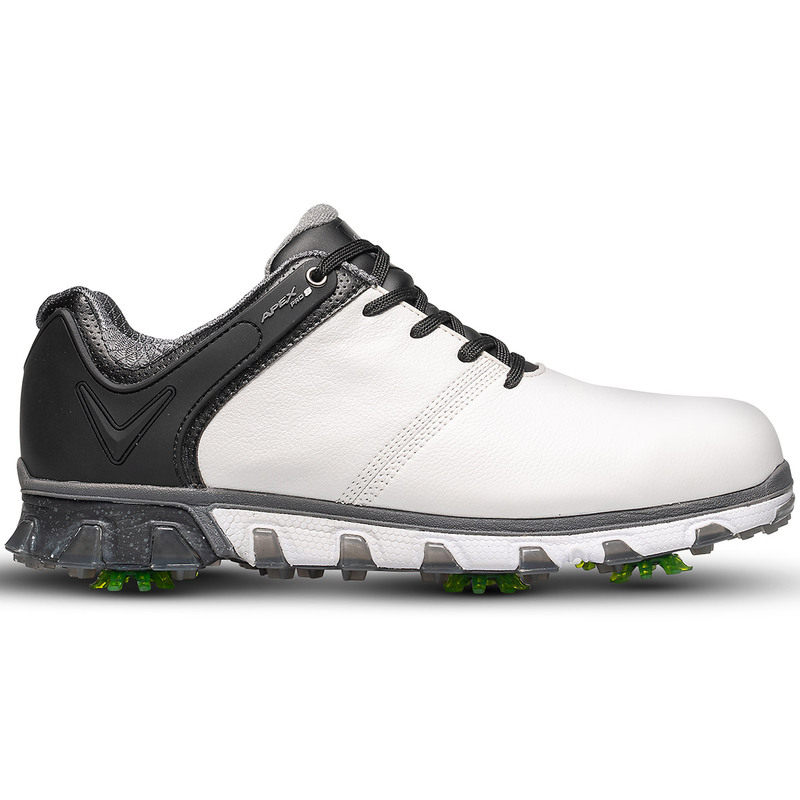 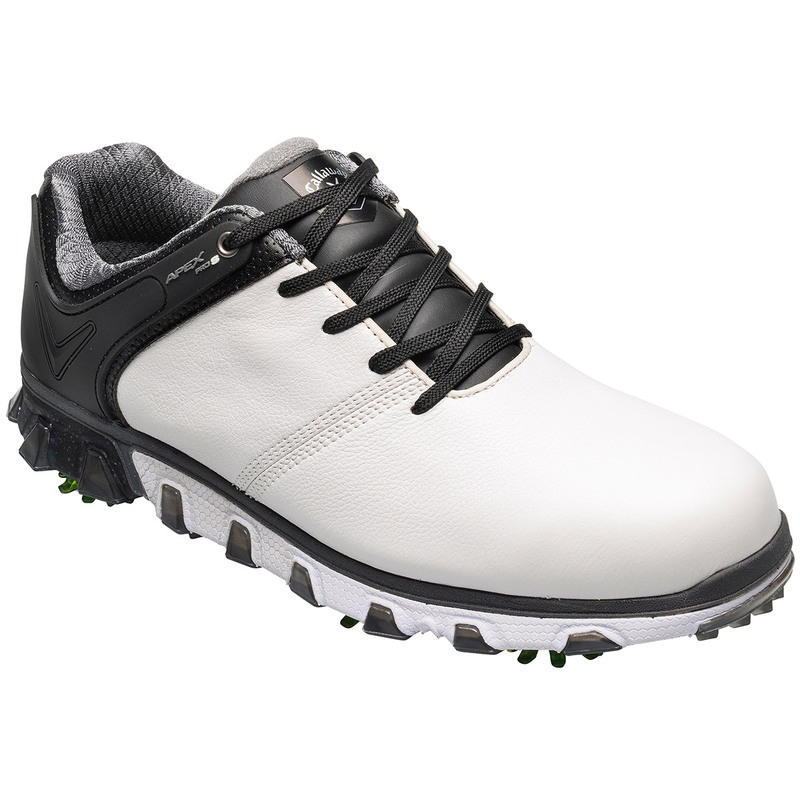 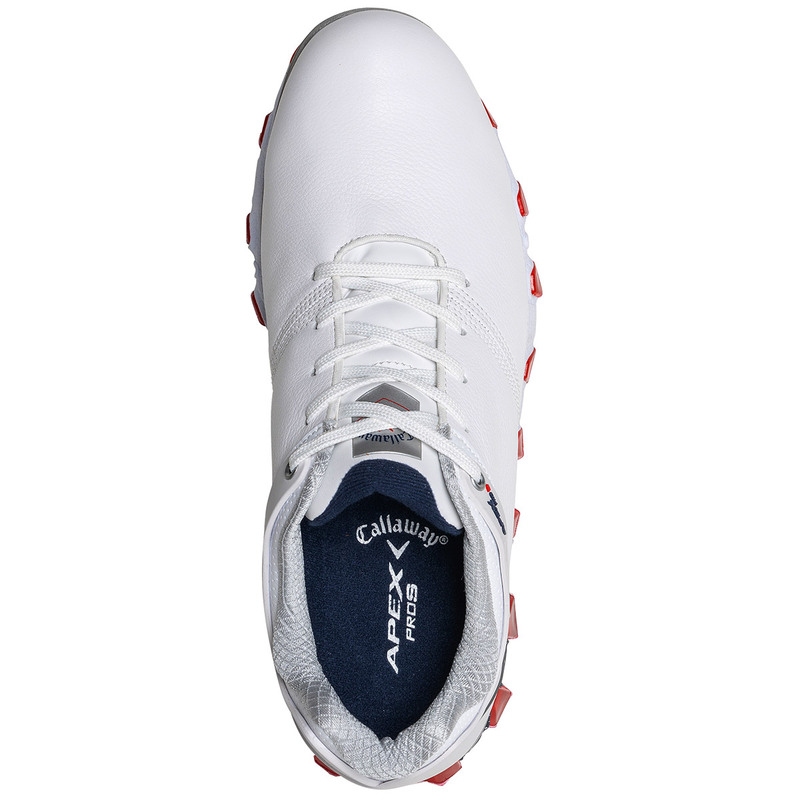 This Tour quality golf shoe delivers absolute comfort without sacrificing any performance. 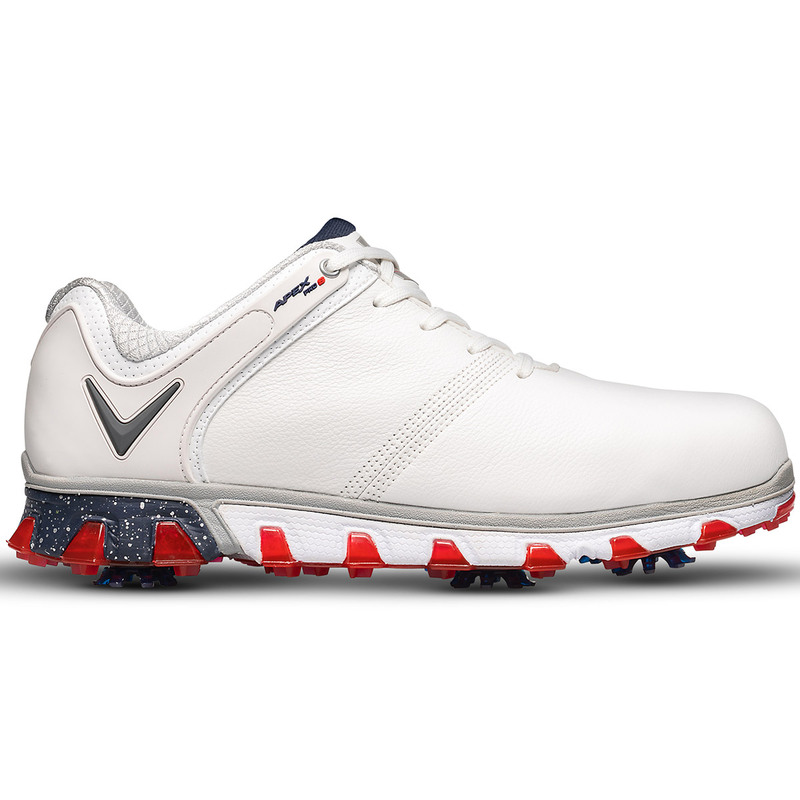 The shoes have been constructed using only the finest materials which includes a full grain leather upper material with a waterproof and breathable membrane to keep you dry as you play golf. 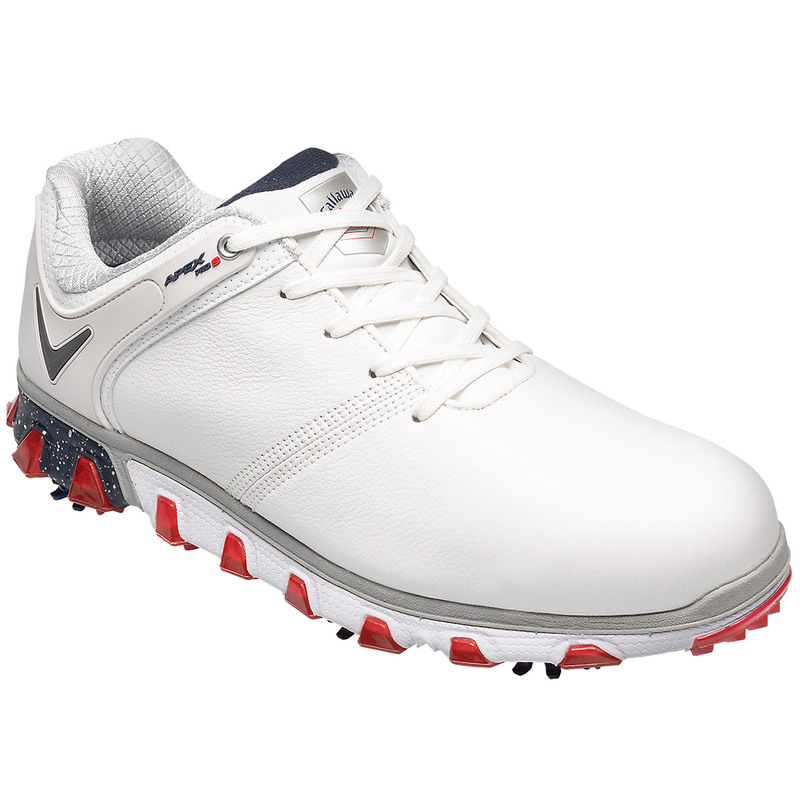 The midsole has been combined with 3-key features, firstly a firm skeletal structure, a Opti-soft cushioning layer, and a Force Flex pod. 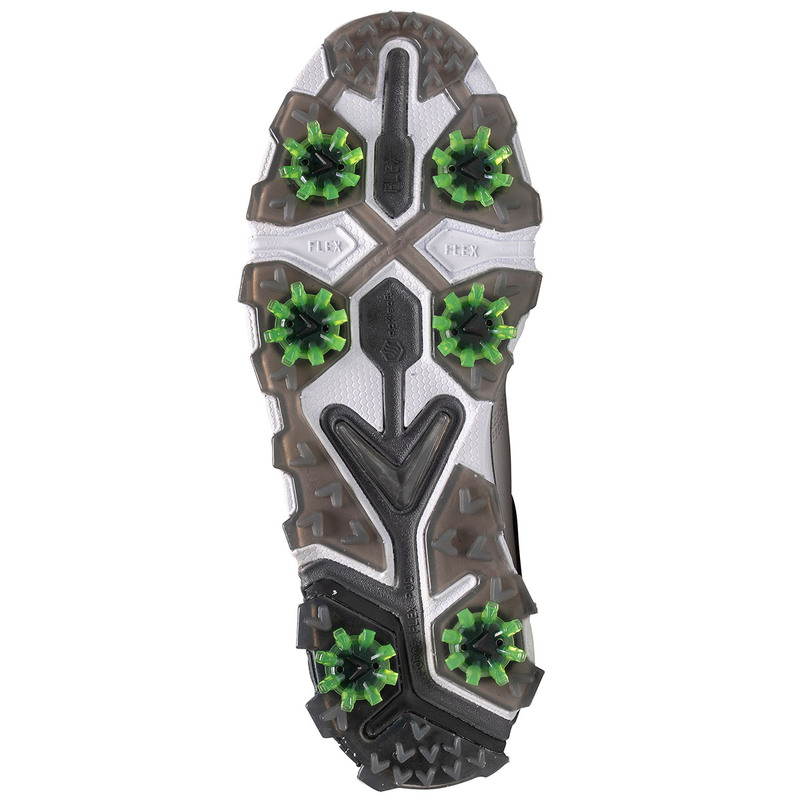 All work together to give you amazing ground contact and smooth weight transfer through the golf swing. 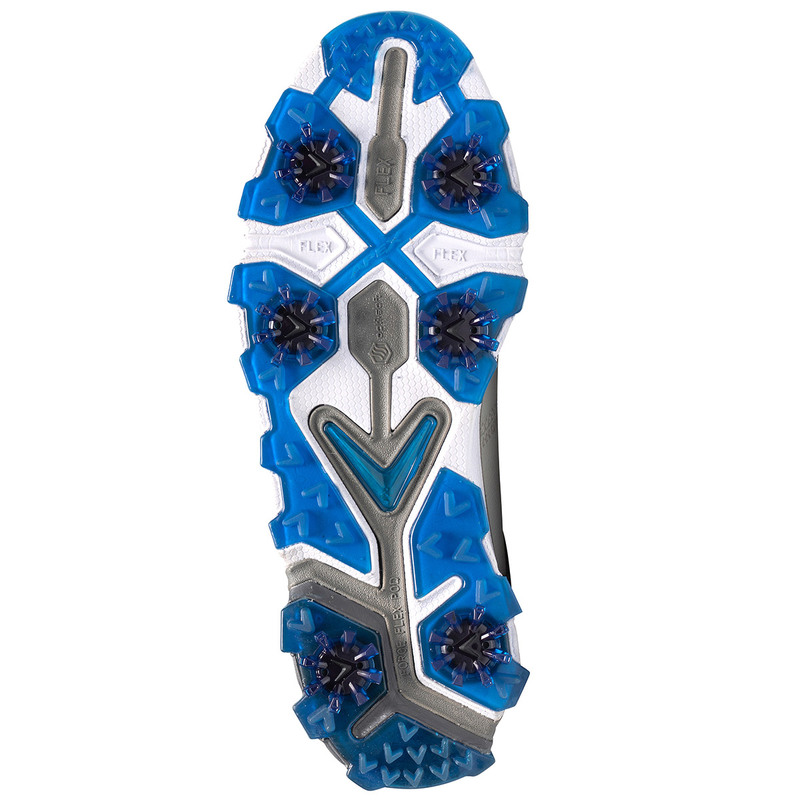 The sole has been engineered with a TPU spikeless outsole, with Xfer Power wall elements to prevent any lateral instability. 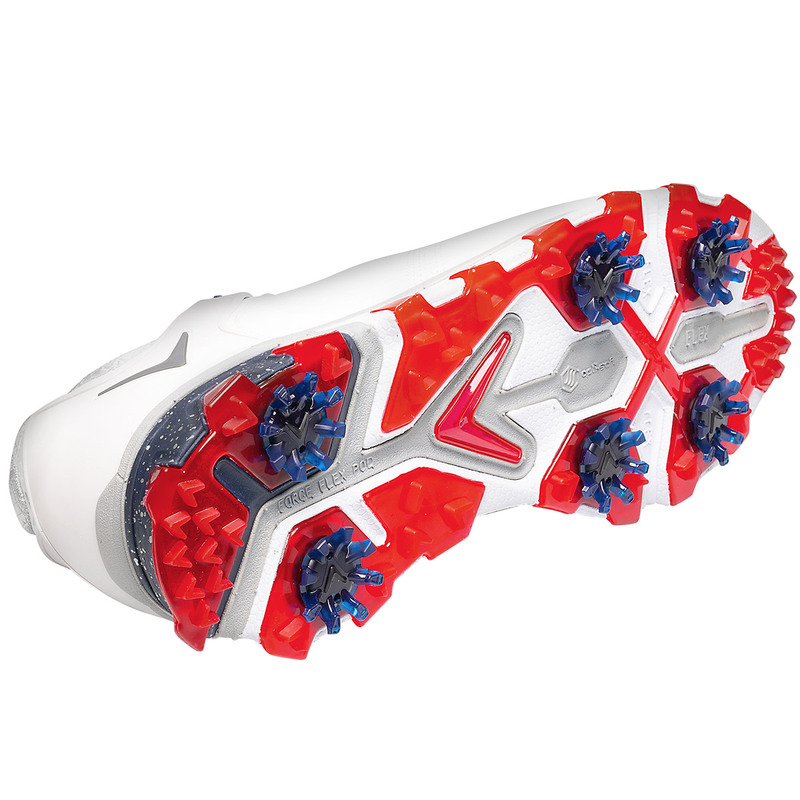 Plus feature Big Bertha removable spikes to ensure maximum traction and energy transfer through the swing. 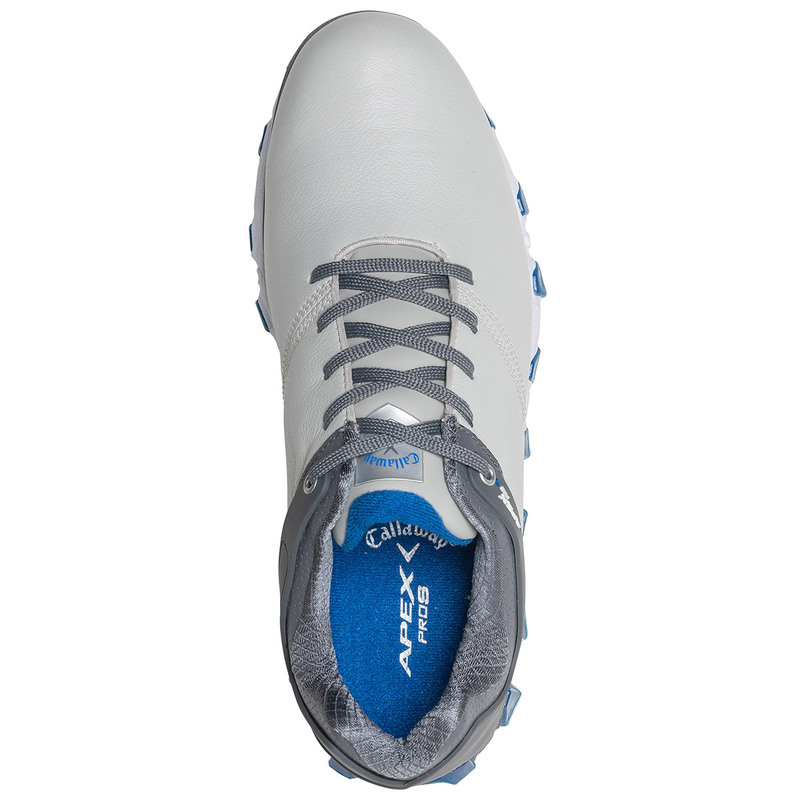 Each pair of shoes comes with a secondary pair of colour coordinated laces included in the box.